The elegant simplicity of this Aaron Basha charm is perfect for the woman who believes less is more. 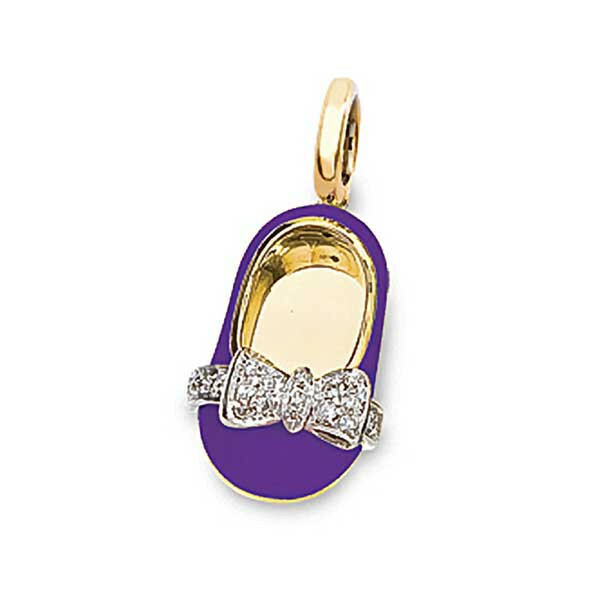 The 18kt yellow gold shoe is painted with fluorescent violet enamel, and a diamond encrusted bow and strap in 18kt white gold sparkle beautifully from the base of the shoe's opening. This Aaron Basha shoe is a luxurious addition to your charm collection.